George Slupski routinely crushes the golf ball, as he recently proved by winning the 2015 Super Senior title in the World Long Drive Championship. The competition was fierce, but Slupskiâs drives, which ranged from 335 yards to 347 yards, were enough to win. Slupski captured the title with his very last ball, pounding it just past the ball of Long Drivers of America Hall of Famer Pat Dempsey. When not competing, Slupski can be found caddying at Old Palm Golf Club, where he has held the position since the community opened. Known affectionately as âThe Animal,â Slupski typically âonlyâ drives the ball about 300 yards when playing, sacrificing a bit of distance for more accuracy. Itâs still a sight to behold. 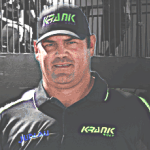 A veteran of long drive competitions, Slupski also won the 2010 Senior Remax World Long Drive.